Well, Thanksgiving is tomorrow. Happy Thanksgiving and be sure to fill those tummies up! Oh, and be careful shopping Friday, if you do so! I’ll be posting a recipe ( I hope) Friday, so tune in! 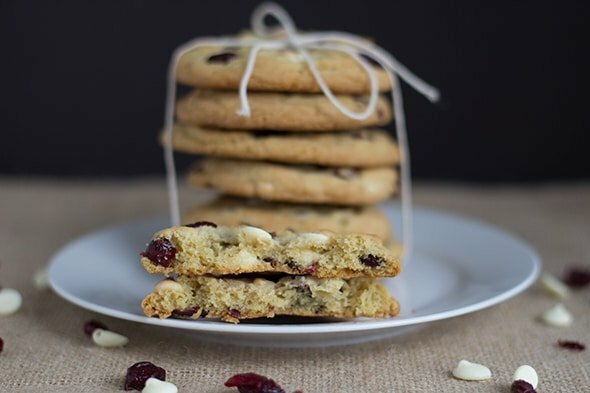 It’s time to break out the Christmas recipes. 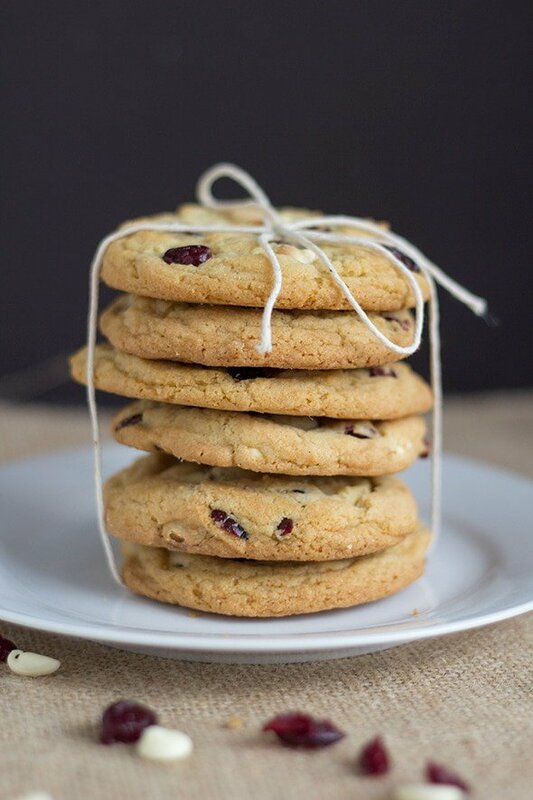 Well, I’ve kind of already done that with my 35+ Christmas Cookie Recipe Roundup! That was just a teaser for the overload of Christmas recipes coming your way. Prepare yourself. These cookies literally had my mouth watering as they baked. The smell was heavenly. 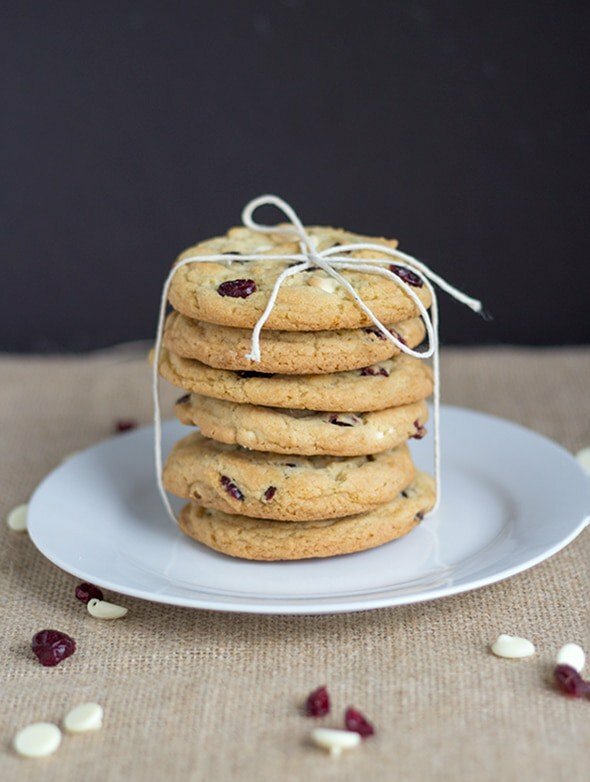 Even the husband was ready to tear the door off the oven and eat some cranberry white chocolate chip cookies. Maybe that was partially because I hadn’t made him dinner yet after a long day of work, but I would like to think that the smell of my cookies just overwhelmed him. 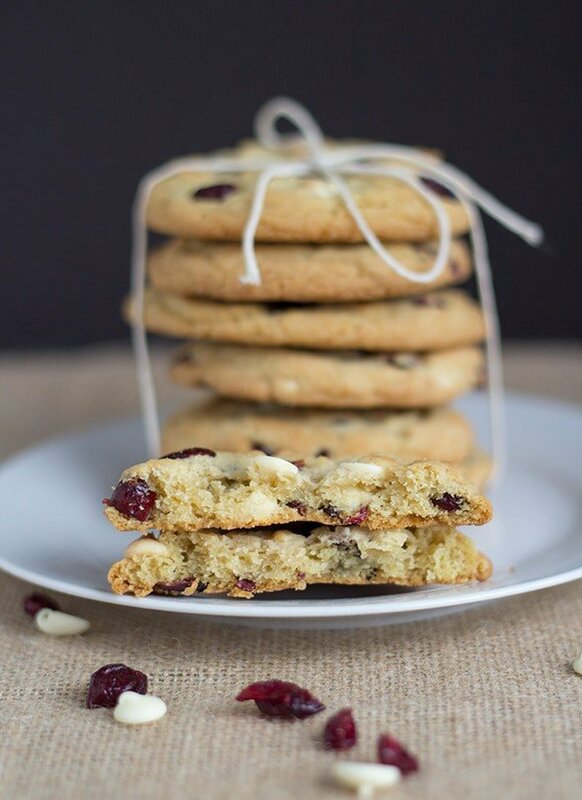 These cranberry white chocolate chip cookies are chewy with a touch of cakey. They are pretty much some of the best cookies I’ve had in awhile. 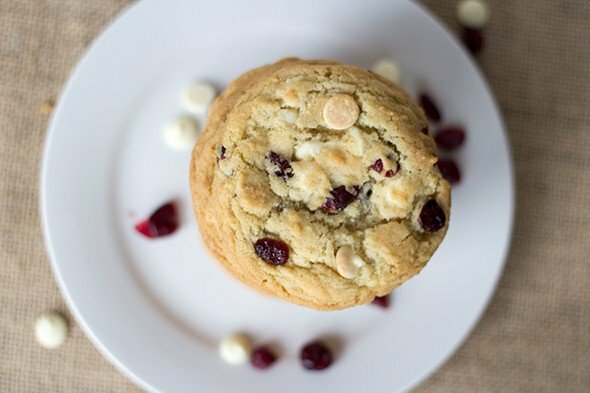 They’re loaded full of white chocolate chips and cranberries for every bite has a surprise in it. That’s the best way to have cookies. I think my dad would have really enjoyed these. 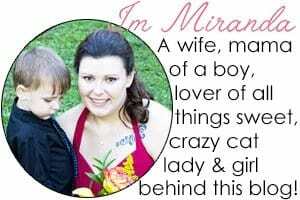 Unfortunately, they didn’t make it to see him. Wednesday night was too far away. I couldn’t possibly hold on to these cookies for 3 days. Sorry dad! I did however save you some chocolate covered coffee beans. That was a struggle. You’re just lucky that I’m watching my weight this week! Just to be clear, I’m watching my weight until tonight. Thanksgiving and the days following are excluded. A free-for-all, if you will. In a large mixing bowl, add butter, and sugar. Beat until light and fluffy. About 2 minutes. The batter will become a light color. Add in the egg and vanilla and beat until incorporated. In a separate bowl, sift in the corn starch, baking soda, baking powder, and flour. 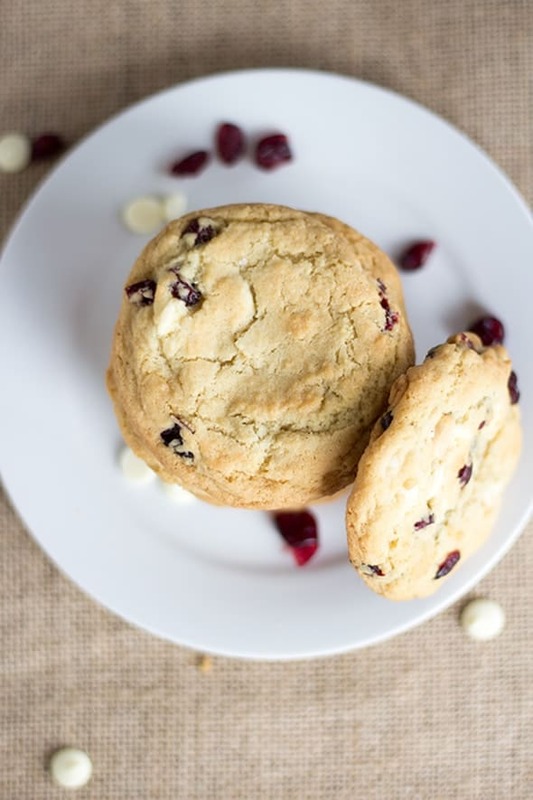 No one wants a lump of corn starch in their cookie! Add all of the flour mixture into the butter mixture and mix on low. This will help avoid a flour shower. When the flour is almost completely combined, bump up the speed to medium for about 30 seconds. 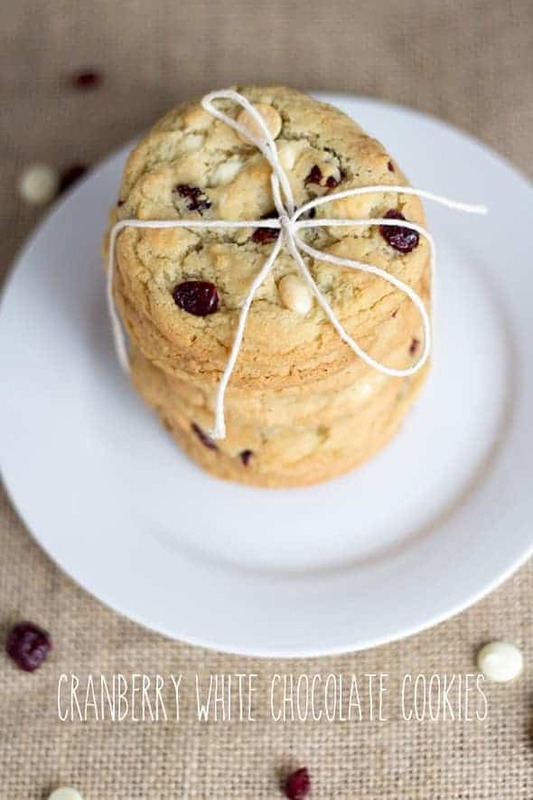 Mix in the white chocolate chips and cranberries with a spatula. 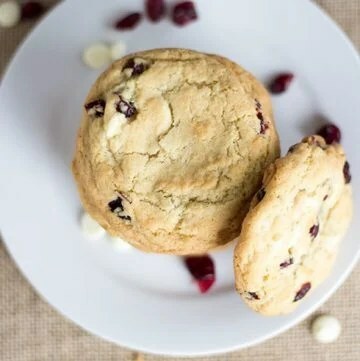 Using a large cookie scoop, scoop the cookies onto the cookie sheet. Bake for 14 minutes or until done. Remove from the oven and let cool for 5 minutes before transferring to a cooling rack. 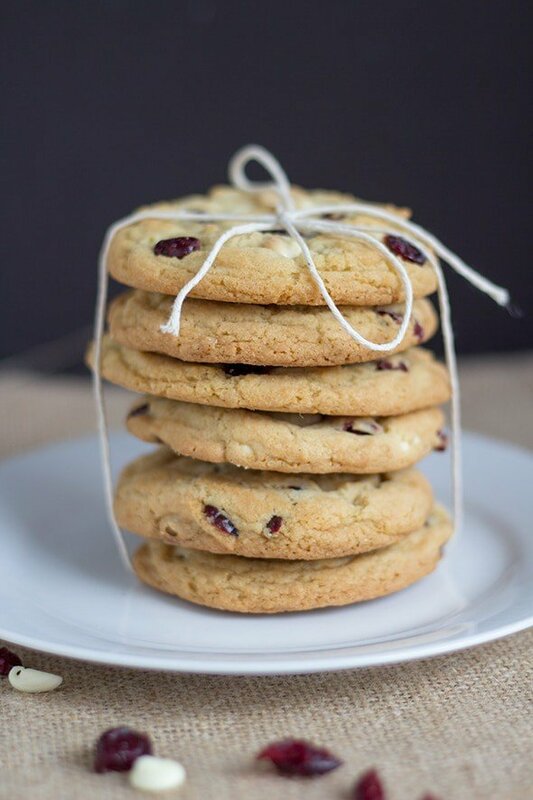 What kind of cookies do you enjoy the most? Chewy or Cakey? Goooorgeous! 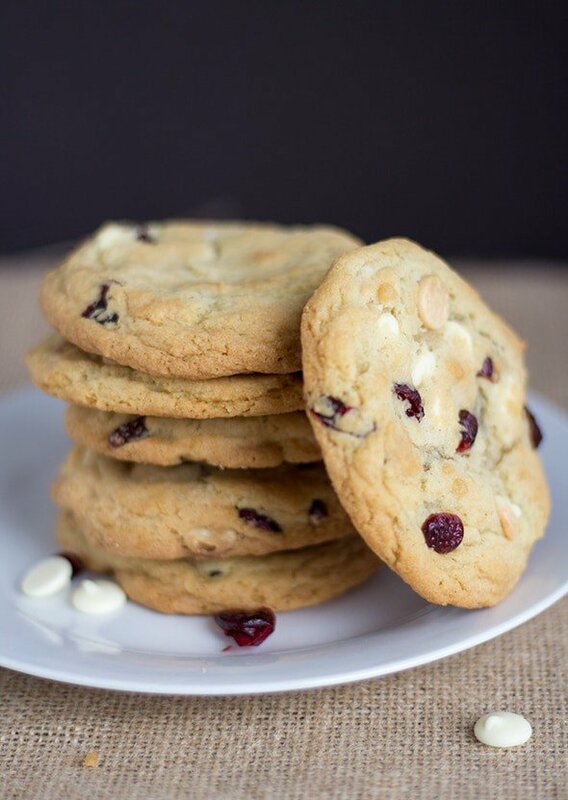 I love white chocolate and cranberry. And I’m ready for cookie season! Let’s go! Thank you so much! I can’t wait to see the cookies that you come up with! Yum yum!